We just received the 2014 processed fiber back from Shepherd’s Mill and it has been like Christmas around our place! We have some of the most beautiful 100% alpaca and amazing alpaca/bamboo and alpaca/merino blends to offer this year. I can’t wait to get it all marked and checked in and out on the farm store shelves. I am working very hard to get it all ready to go in time for our upcoming fall shows, but I want to give you a first look and first chance to purchase all this beautiful 2014 fiber. Once I introduce the new fiber here, it will also be ready for purchase on the farm website at http://www.naturalfiberfarm.com. If you see something you want, place your order as quickly as possible. I think this fiber will go very quickly once we start our fall show tours. I will start by introducing Timna Valley, a beautiful 60% alpaca/40% bamboo blended roving. 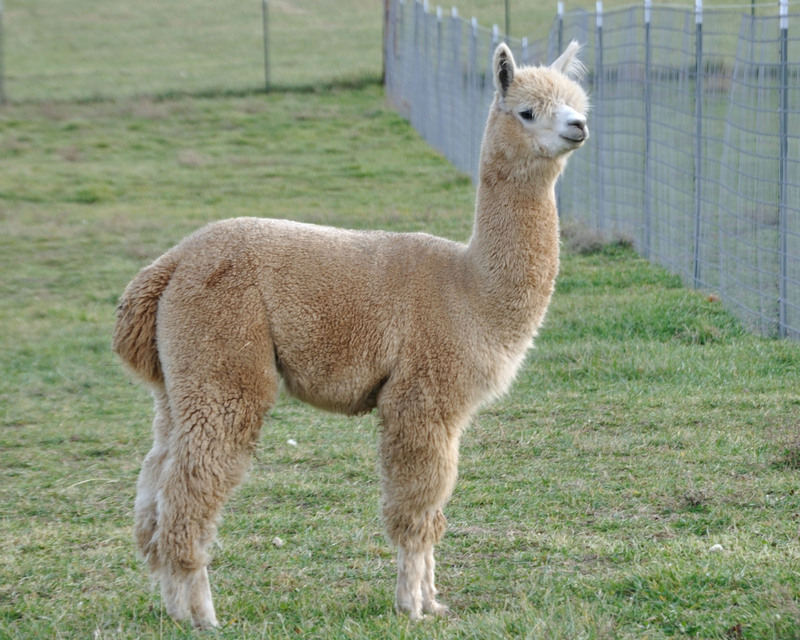 The alpaca fiber is light fawn and comes from our alpaca Imagine. 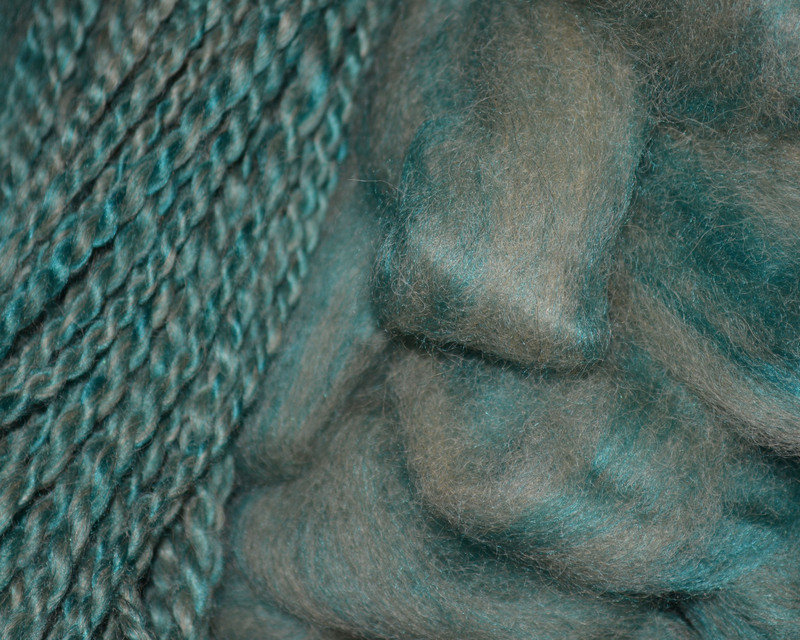 Imagine’s fiber has been blended with bamboo, dyed a beautiful malachite color. 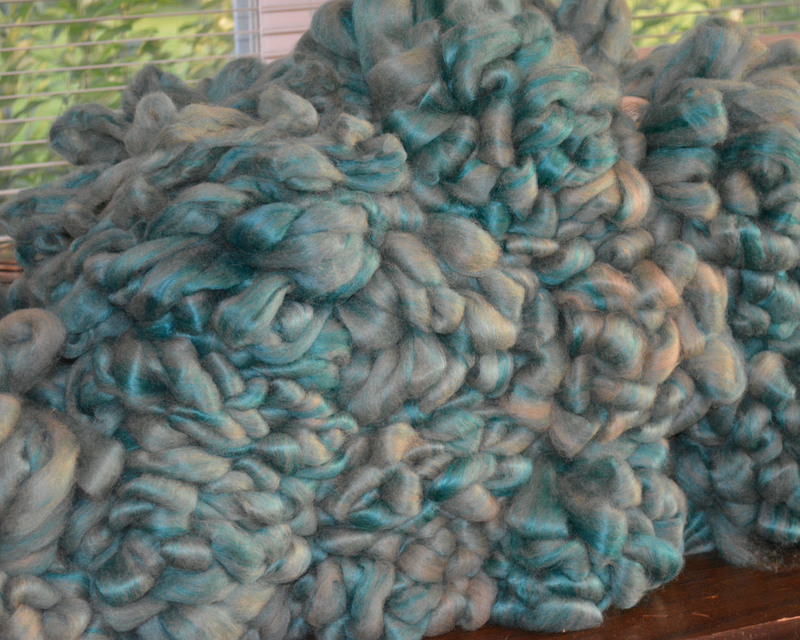 The roving comes in 4 oz. bundles and is $26.00 per bundle. As you can see, we have plenty of bundles right now, but I think that will change very quickly, particularly as shoppers get their hands on this incredible fiber. Imagine is one of our beautiful males……..fine fleece with a nice long staple length. And that color…….gorgeous!